As a truly multi-talentent designer, George Nelson was also successful as a graphic designer. His Zoo Timers - strongly colourful personalities from the animal kingdom - contrast sharply with his sculptural wall clocks from the 1950s thanks to their graphic touch. The Zoo Timers offer children a playful and enjoyable approach to telling the time. Collection Vitra Design Museum. The George Nelson 1965 designed wall clocks consist of metal and wood, possess a high quality quartz-clockwork and are delivered including a 1.5 V battery. The Zoo Timers are exposed in the collection of the Vitra Design Museum. 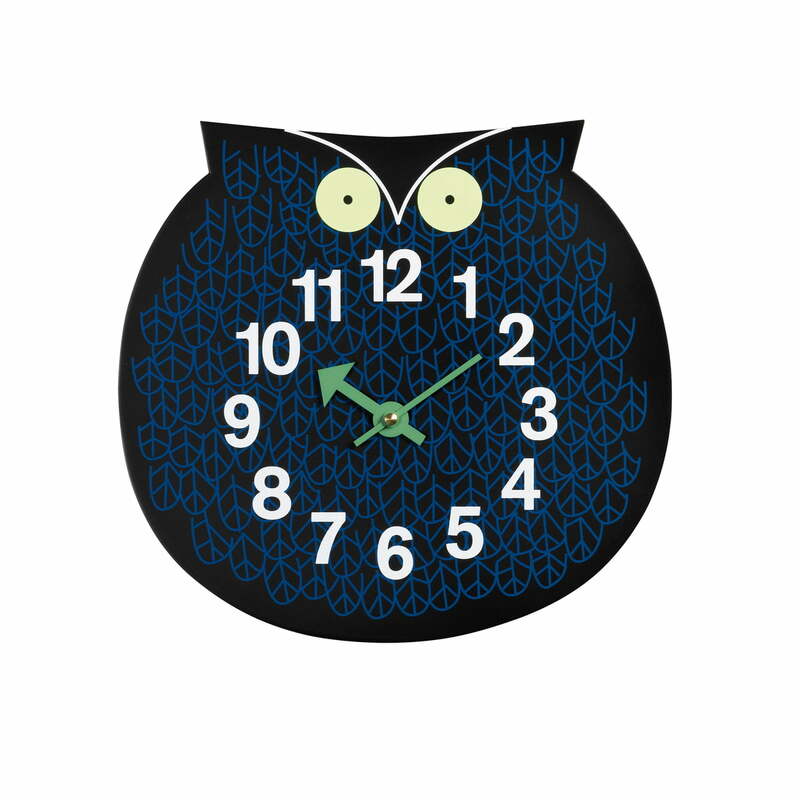 Single image of the wall clock Omar the Owl by Vitra which runs by battery. Designed in 1965 by Georg Nelson, the Zoo Timers wall clocks consist of metal and wood, possess a high quality quartz-clockwork and are delivered including a 1.5 V battery. How do you add colour, design and fun to your children’s room? 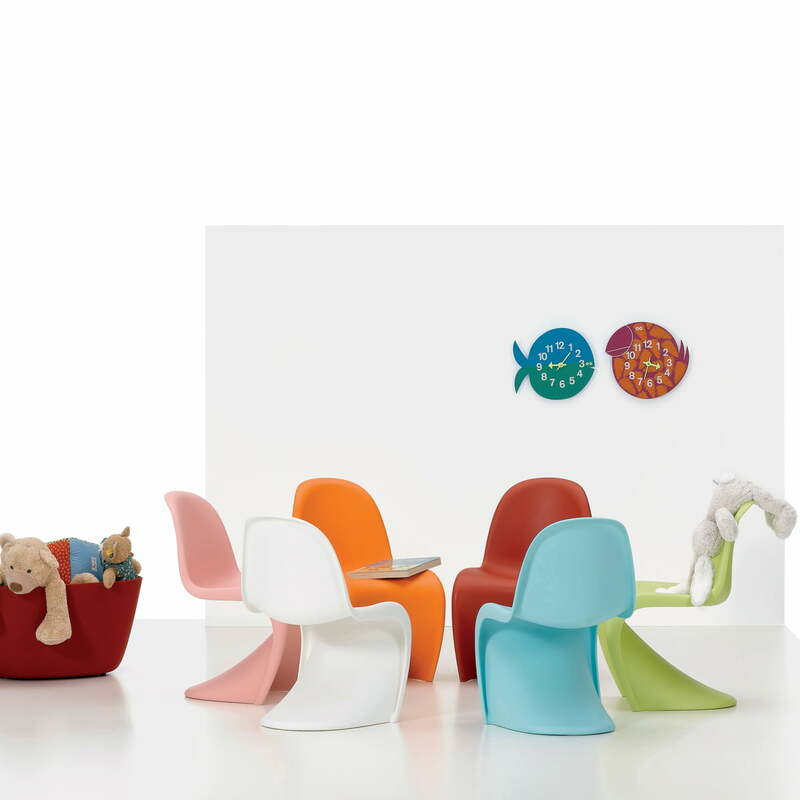 With the Vitra Panton Chair (Verner Panton) for seating and toys, and the Zoo Timer (George Nelson) for a playful approach to telling the time.